A mighty tribute to the great Don Drummond – the trombonist whose tone and timing really helped the 60s Jamaican scene find its groove! 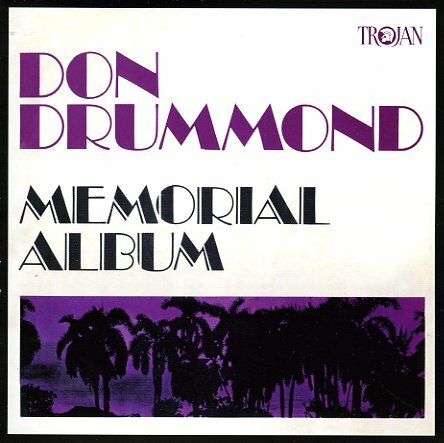 Don played on countless vocal and instrumental sessions before he left this planet all too soon – and this smoking memorial album is a mighty testament to his powers – an all-instrumental package that's filled with strong solo moments by Drummond in a variety of settings, mostly in a rocksteady groove! There's great organ and tenor on a number of cuts (Jackie Mittoo and Tommy McCook?) – and titles include "Street Corner", "Latin Goes Ska", "Green Island", "Garden Of Love", "Feeling Fine", "Silver Dollar", "Let George Do It", "Knock Out Punch", and "Dr Decker". © 1996-2019, Dusty Groove, Inc.